Cited in a newspaper report, Asian Americans have the highest rates of workplace discrimination in the U.S. And as per the study, though about 31 percent of Asian Americans surveyed reported incidents of discrimination. Compared to other racial, ethnic, or minority groups, African Americans file fewer complaints to the Employment Equal Opportunity Commission at 26 percent. As a result, the study reinforces a quiet and docile image of Asian Americans. Hence, making them an easy target for racism. As enshrined by the civil rights movement, no group should be treated with hostility and contempt. Asian American women face biases more than twice as compared to men. Such biases are apparent in incidents of harassment, current conditions in the workplace, and the system of work assignments. Most of these incidents are related to decisions on employment promotion and unequal pay to employees. Other types include favoritism, sexual orientation, and language, but these are not covered by federal law. 1. Asians who do not speak up either do not care about or lack knowledge of, an issue. This is a wrong idea that other people who belong to other racial groups usually think about Asians. Actually, in Asian culture, talking excessively is viewed as a sign of weakness. Thus, someone who is the talkative or silent type does not measure if they are capable or not to perform the job. 2. Asians are quiet, passive, and anti-social. This means that other races view them as less creative or unwilling to take chances or challenges. Other races talk as if these are not present among them. 3. Asians are amiable yet hardworking and technically skilled. Again, this is like saying these characteristics do not exist in other races. To break these cultural biases, it is significant to understand the Asian culture and way of life. This is to get rid of any cultural insensitive practices among employers and the management of companies. Hence, it’s important to exert effort in removing racism in the workplace. Due to a relationship-oriented perspective ingrained in their culture, Asians communicate indirectly. Thus, giving negative feedback to other people is hard. They will rather not argue with someone in public to allow him or her to save face. Also, the sense of respect for elders and the hierarchy of many Asians affects their behavior in formal or business meetings. An Asian who nods does not necessarily mean he or she agrees with the speaker. He or she may simply acknowledge that the speaker’s statements are heard clearly. Due to their sense of humility, many Asians understates their qualifications and experiences during job interviews. Early in their lives, Asians were taught not to brag about their own achievements. The fact that one is pursuing a more prestigious job is seen as bragging itself. They think that being hardworking speaks more about their worth. Regarding work performance, they may not feel at ease completing self-assessment as a form of appraisal. In addition, however, they prefer to be rewarded as part of a group rather than be recognized as an individual. To succeed in life, Caucasian children learned that they must work out on their own. While Asian children are taught that their boss will take care of their needs if they are hard working. To prevent the possibility of becoming an easy target, Asian Americans should speak out and demand equal treatment in accordance with law. 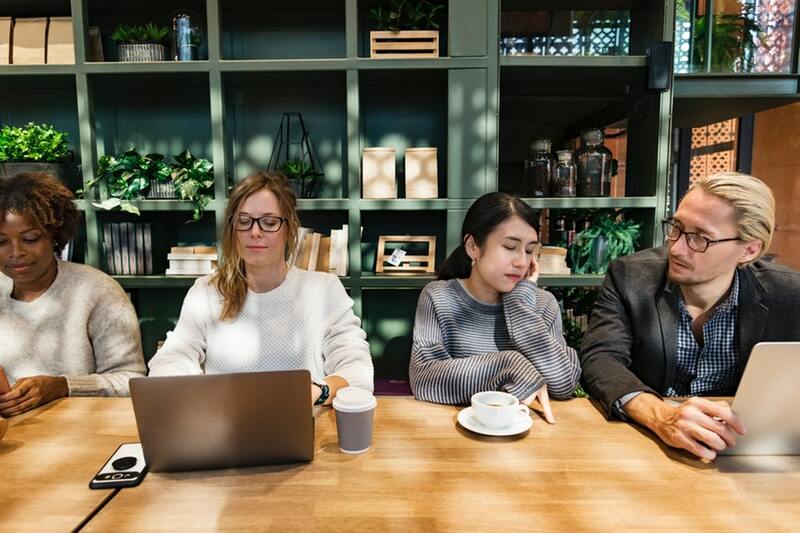 Employers and managers, on the other hand, should take extra effort to manage a diverse workforce and consequently gain the advantages of a cross-cultural workplace.